Do you know where your wood really comes from? A new LEED pilot credit could help project teams ensure they are not importing illegally harvested products. Photo: David Wright. License: CC BY 2.0. Who’s in favor of legally sourced wood? If you’re raising your hand, you’re not alone: illegal logging is a global scourge that destroys ecosystems and contributes to climate change. It’s carried out by organized crime, and is used to fund civil wars and terrorism. And by some estimates, as much as half the timber in the world is harvested illegally. But a pilot program in LEED that purports to address the problem doesn’t help at all, according to some non-government organizations. Now these NGOs—which include Greenpeace, the Environmental Investigation Agency, and the World Wildlife Fund—are getting their own day in the sun. 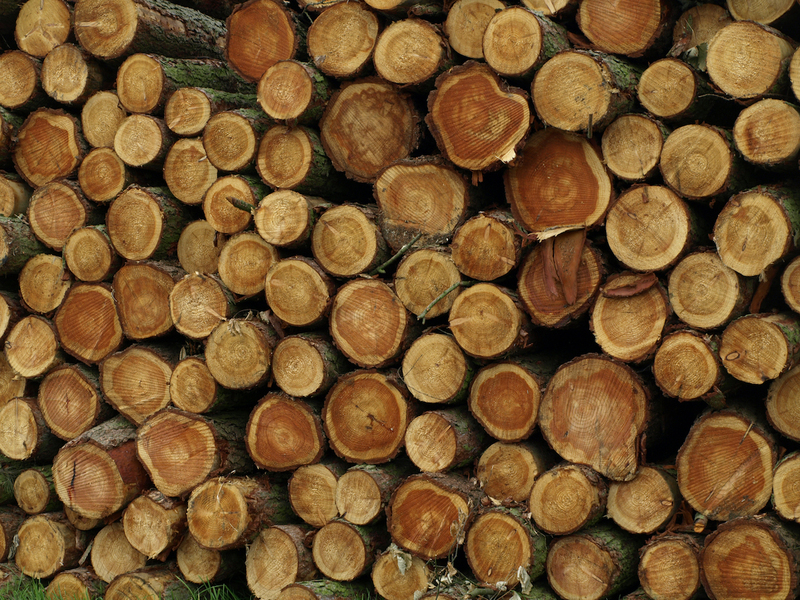 To achieve the Timber Traceability pilot credit, project teams have to identify the area of harvest and species of at least 50% by cost of the wood on the project, then order testing—such as DNA, mass spectrometry, or stable isotope analysis—of the actual wood that’s delivered to the site. If it matches, the project earns a point. There are additional requirements for wood products sourced from countries with high risk of illegal logging. The credit details can get a little complicated, with tiers of achievement based on how far project teams are able to zoom in on the wood’s origins, so the Environmental Investigation Agency will act as an intermediary through the website woodorigin.org, and USGBC has released a guidance document explaining the steps. These include gathering and submitting basic information on all wood products, and gathering and submitting samples and maps of area of origin. USGBC recommends that project teams seek maps for most or all wood products, in case some of their samples ultimately don’t match. As noted, this credit is designed to advance cutting-edge scientific approaches to clamping down on the trade in illegal wood. Such approaches are needed because it's easy for bad actors to perpetrate fraud in the document-based due diligence systems that are currently the norm. Even credible third-party forest certifications like FSC that deliver concrete benefits in forest management and conservation are currently ill-equipped to address illegal wood because chain of custody audits only take place once a year, and unscrupulous companies that are determined to game the system are able to get away with it. A great deal of time, thought and other resources have been committed to the development of this credit and the tools and guidance that stand behind it. The forest legality experts who worked on this believe that it is the most promising approach to combatting illegal logging in the building sector, and are looking to the market-transforming and precedent-setting power of LEED to drive progress. But this can only happen if project teams are willing to pursue the credit and help us work out the kinks. If your firm is working on a project or projects that will make significant use of wood, please consider becoming an early adopter. We will support you through the process, but we cannot succeed without your leadership.